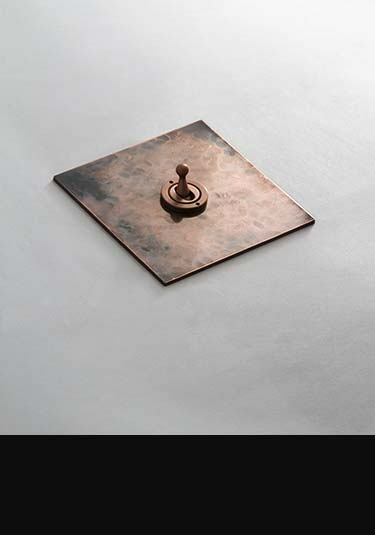 An exclusive Copper Collection of household electrical light switches and plug sockets with a distressed finish. Designed and manufactured in Britain this high quality fittings give individual styling to luxury interior design projects. Within this collection we can supply a full range of electrical fittings, including TV sockets, telephone points, cooker points, plus electrical light switches with rocker, toggle and dimmer switching. Unique collection of copper switches with a distressed metal finish. Luxury quality, these electrical fittings can be supplied with rocker, toggle and dimmer switching. Made in Britain. 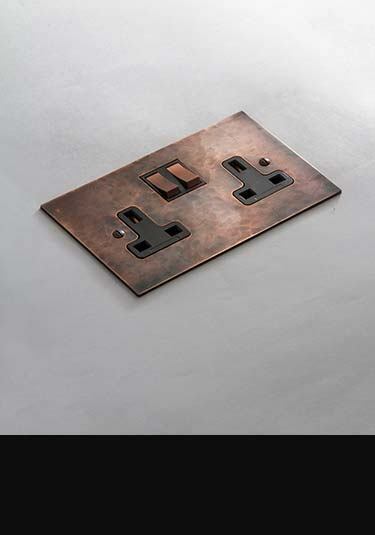 A lovely collection of designer household sockets with a distressed copper finish. These plug sockets are available with complimentary household electrical fittings. British made for high quality interiors. 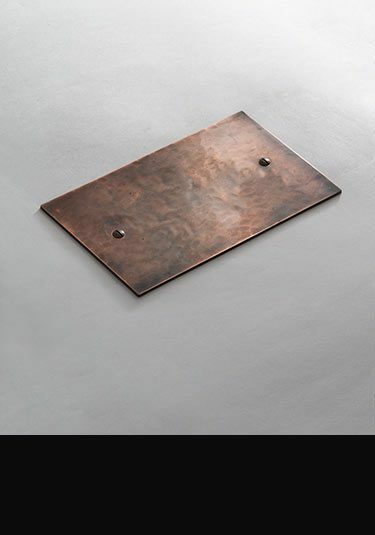 Superb quality sundry electrical fittings in a unique distressed copper finish. Included within this range are telephone, TV and satellite sockets, fuse spurs and data points as well as cooker switches. Made and designed in Britain.